ROAD TOWN, Tortola, VI- Over 600 derelict vehicles have been collected by the Department of Waste Management and are now being recycled. 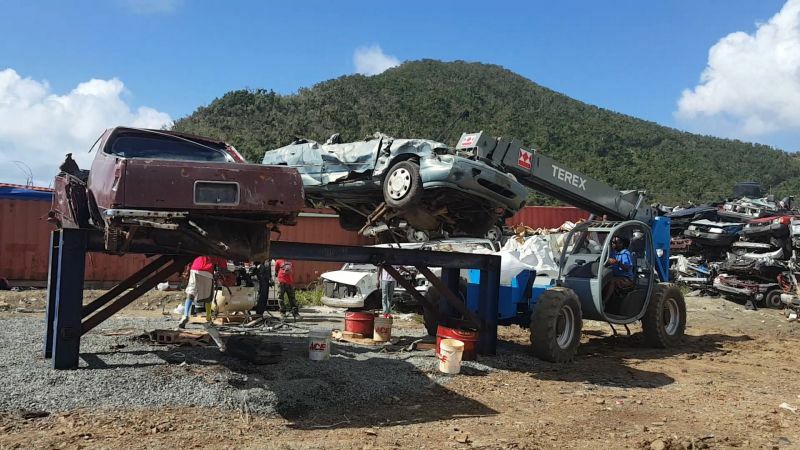 The department’s Manager, Mr Greg R. Massicote, said once the vehicles are collected, they are taken to the temporary derelict site at Pockwood Pond where they are stripped of certain parts, drained of their fluids, crushed and stockpiled for export. Great job. There are still so many to be picked up on ridge road that have been there since the storms. Broken down taxis, vans, cars especially at the junction. When are we going to start recycling our garbage plastic, glass and metal? This island can’t hold any more and Pockwood pond is over its limit. We have no recycling plant, so government needs to make arrangements with big countries that do have them. A good start . There are so many more and I only hope special consideration is not dolled out . Lets get rid of the crap one time ...cars , boats , old trucks .... all of it.